The JUJU is made of 100% genuine leather. It is made for your perfect getaway or even just walking around in the city. The leather braided straps can be wrapped around your ankle or all the way up your calves, either way, they will make your legs look amazingly long! Dondoks are the most playful flat shoes we have ever seen. 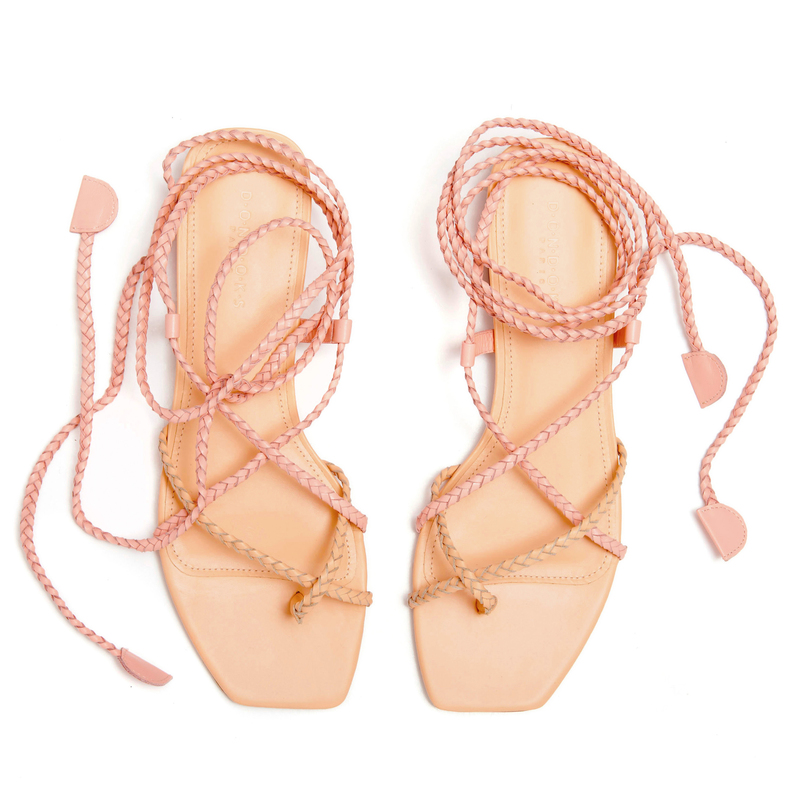 Fronds of organza mix with braided leather straps to create elegant, luxury footwear that acts as the exclamation point! at the end of your outfit.